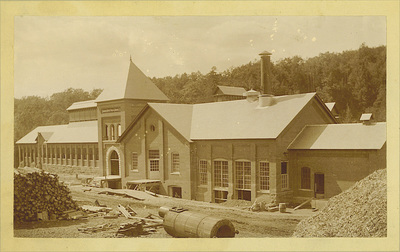 Schroon River Pulp & Paper Co.
Schroon River Pulp Company, located at Burnhamville two miles from the hamlet, was incorporated in 1892 by John Durkee, James Emerson, Albert H. Thomas and Joseph Goodfellow. 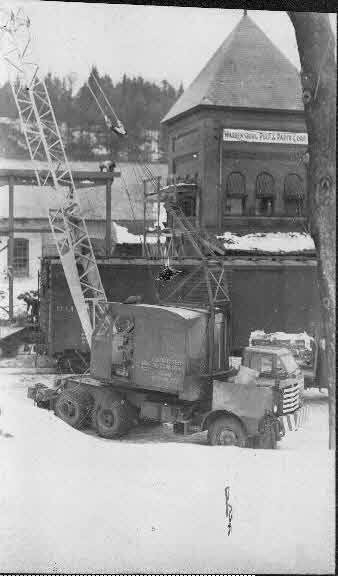 At that time, they made ground spruce wood pulp. Up to 10,000 market logs (approximately 2 million board feet) of spruce and aspen were utilized to produce a high quality ground wood pulp each year. 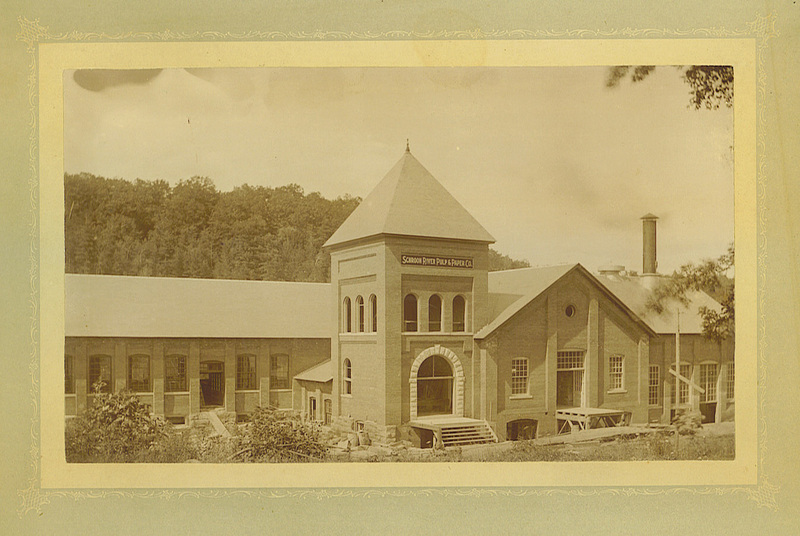 It became the Schroon River Pulp and Paper Company in 1901, when it commenced the production of wallpaper. 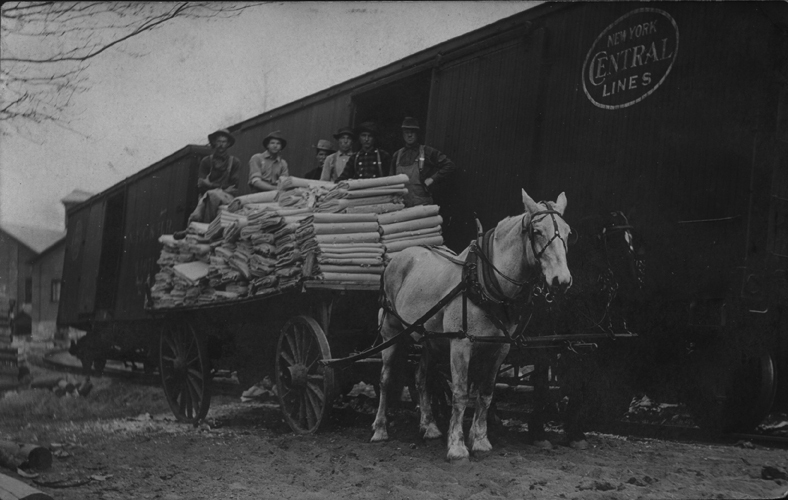 By 1903 one 90-inch paper machine was using 12 tons of ground wood per day to produce 380 feet/minute of wall paper. 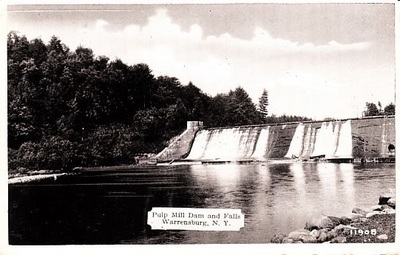 In 1905 the Delaware and Hudson Railroad built a spur to this mill from Thurman Station. In 1918 the Warrensburgh News was printed on paper made here, when production was changed to printing paper exclusively. 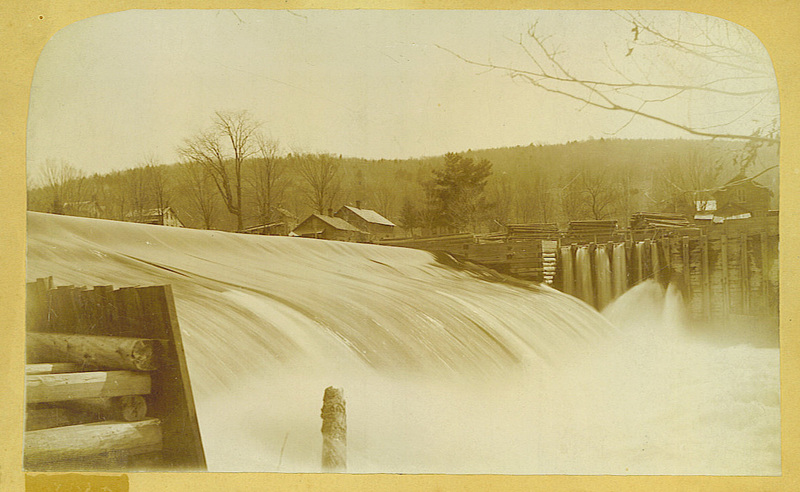 The dam providing water power was 175 feet wide and had a drop of 24 feet, with a flume 230 feet long, which could produce up to 2,000 horsepower. Several employee strikes in the early 1950s resulted in the mill being closed. In 1954 the Warrensburg Chamber of Commerce along with several Town Board members met with prospective buyers and Thomas A. Galante & Sons purchased the mill, which was renamed Warrensburg Board & Paper Company. 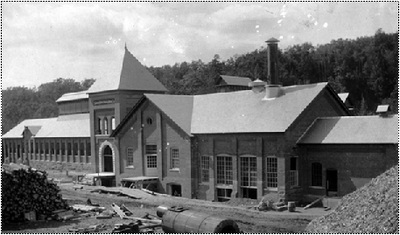 In March of 1976 high water caused the dam to break through into the mill, causing serious erosion to the building and seriously damaging the railroad siding. 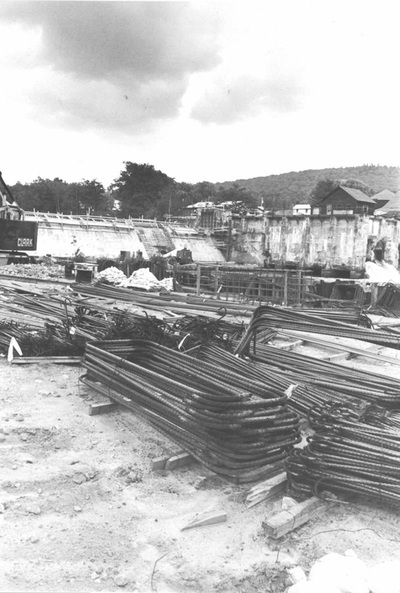 Remedial measures to save the building resulted in the entire dam washing out. 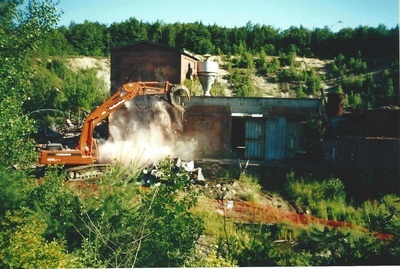 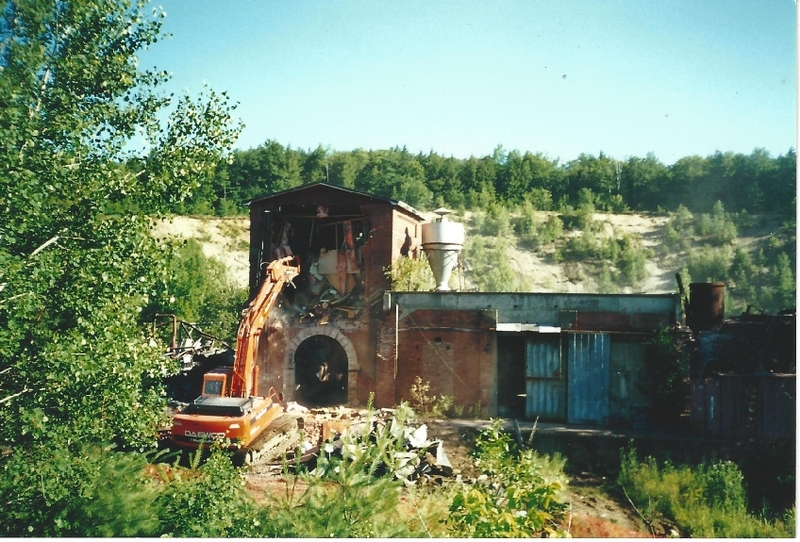 Operation resumed in the rebuilt mill without water power until January 18, 1978 when weather hazards and other damages made operation unworkable. 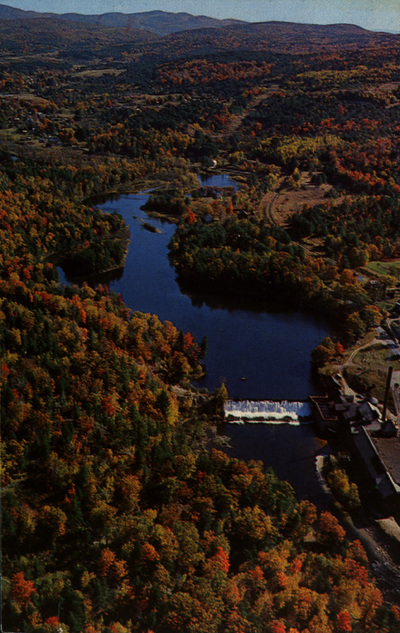 In 1985 the Adirondack Hydro Development Corporation initiated a project to rebuild the Schroon River paper mill dam on Route 418, which had washed out in 1976, to generate electricity. 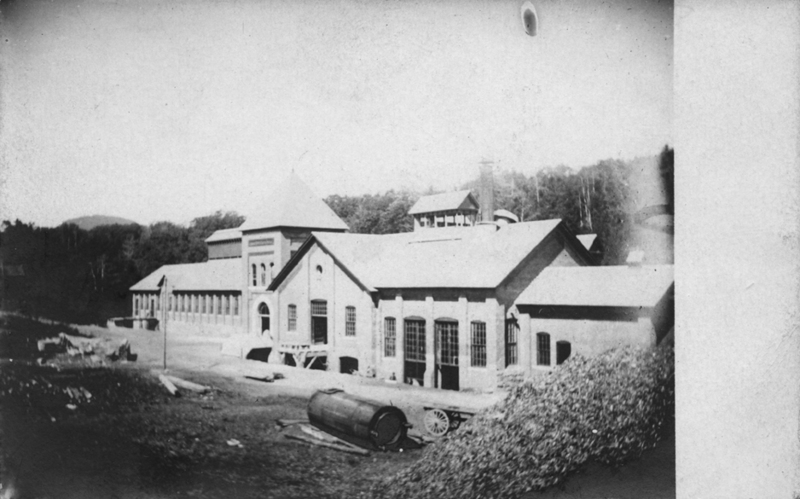 The 7.8 million dollar endeavor would produce, on average, 10.7 million kilowatt-hours annually, the average power usage of 1,500 homes. This would then be sold to Niagara Mohawk Power Corporation. The project flooded a mile-long section of the river with a depth of 28 feet near the dam. The Town of Warrensburg gave Adirondack Hydro a tax abatement permitting them to pay only 5% of taxes owed for the first year, increasing each year by 5% until the 15th year when 75% of taxes would be due. From the 16th year on the full amount would be due. 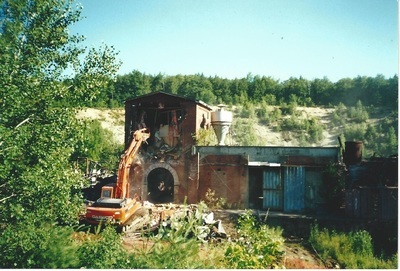 The power generator went on line in January 1989.